Palm Beach Oriental Rug Cleaning Pros offers high quality oriental rug cleaning, repair and restoration services in and around the Villages of Palm Beach Lakes. If you are an owner of an Oriental rug, we know how difficult it is to maintain its cleanliness—particularly when dealing with silk Oriental rugs. This type of rug is so delicate that it should only be handled by silk rug cleaning experts who are trained to properly handle this type of job. We understand that silk rugs are generally handmade and because of this, it is not surprising that they are expensive and of high quality. Great care is required to maintain its beautiful appearance. We are proud to say that we have a specialized team of in house experts who handle such quality rugs on a daily basis. Our professionals have the necessary skills to ensure that your rugs will return to you in its pristine condition. We deal with a vast quantity of rugs on a daily basis. Our previous customers have been loyal to us and we received awe-inspiring feedbacks from them daily. 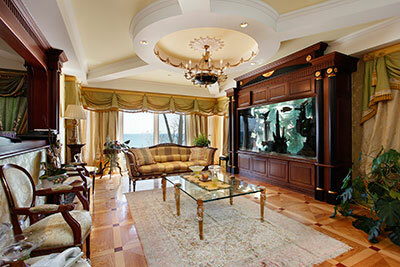 In addition to general Oriental rug cleaning, pet stain removal is probably what keeps us busy the most. We do offer a guaranteed pet odor removal process. This is a different process then us doing our standard hand washing process. When we do the pet urine stain removal process we use heavy rollers on the rug paying attention to the color of the water that is coming out of the rug and when there is yellow water coming out from the rug, we know we need to focus more on that area and successfully remove the odor. After we hand roll out the urine, we then put it through our wringer and use a lot of water to make sure we got the pet odor out. We usually do this twice just to be safe. Your rug is considered one of the decorative commodities in your house. But actually, having a rug in your house implies a huge responsibility. This is because of the simple fact that rug or carpet can get dirty very easily due to their placement. Yes, it’s not displayed on your ceiling or wall. But it’s on the floor, receiving all kinds of dirt. In addition to this, when rugs get dirty, they are not easily cleaned up. It would require much time and effort. Furthermore, when your rugs’ fabric, stitches or the outskirts get damaged or holed out, it is already the end of it. The damaged area will get doubled as time passes by. Of course, a damaged rug is not very lovely to see. It actually ruins the overall appearance of your room. Then you will just decide to take it off and put it in the storage room. 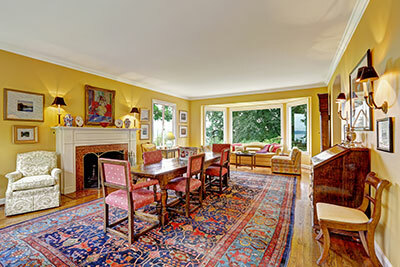 Rugs, especially priceless ones like Oriental rugs, deserve to be cleaned and fixed. 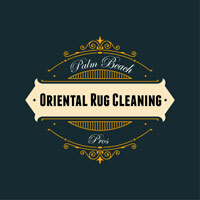 At Palm Beach Oriental Rug Cleaning Pros, we are your partner to fix all the problems of your rugs. Our staff can handle any rug issue—whether your rugs need reweaving, or major restoration, we can do the job perfectly. We are certified with skills that can take away all the worries you have with your valuable Oriental rugs.